Marcopolis ranked the most powerful business leaders in Indonesia. The ranking is based on an executive survey with the top businessmen as part of the business report on Indonesia. Hary Tanoesoedibjo is No. 1, and Anthoni Salim, at No. 2, is the second most powerful businessmen in Indonesia. 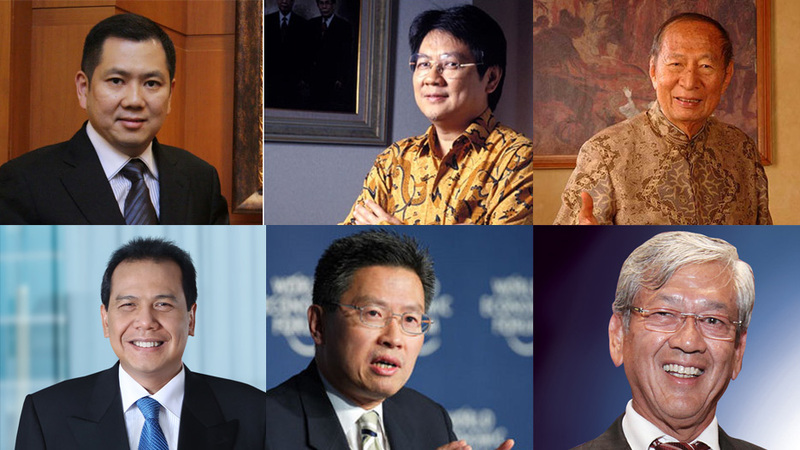 The research team asked the interviewees, who they think are the five most powerful businessmen in Indonesia. Each one nominated 5 businessmen. The interviewees anonymously nominated a total of 80 leaders. Out of the 80 personalities nominated by our interviewees, 20 leaders were a common vote amongst them, with eight of the top businessmen standing out from the group and emerging as the clear leading business figures in Indonesia. More than 65 businessmen participated in the survey to date. The survey is ongoing and the ranking might change over time. While there is some correlation between the wealth and being the most powerful businessman, the wealth was not the single defining factor in the nominations. The business community in Indonesia took into many consideration other qualities when nominating the "most powerful businessman in Indonesia". Indonesian tycoon Harry Tanoesoedibjo, known among locals as Harry Tanoe, President of MNC Group (Indonesia’s largest media company, is a corporate aristocrat with an interest in politics, launching a new political party, United Indonesia Party (Perindo), earlier this year following his departure from the National Democratic Party. The business tycoon was voted as Marcopolis’ #1 most powerful businessman in Indonesia. In business, he completed construction of the MNC News Center, which will be the locus of his media businesses (he owns 4 national TV stations, including recently launched INews TV). Together with Indonesia's stock market, he just launched a TV station called Indonesia Business and Capital Market Television Channel. The 50-year-old is among a breed of powerful tycoons that emerged with the downfall of the autocratic regime of former President Suharto (1967-1998). The youngest of six siblings, he studied business at university in Canada before returning to set up a stockbroking house in Jakarta in 1990. His big break came with the Asian financial crisis of 1997-98, when Indonesia was hit hard and economic calamity led to political change, as the long-ruling autocrat Suharto was swept from power following mass protests. Today his group spans 10 listed companies, with 30,000 employees and a market capitalisation of about $9bn. Yet Tanoesoedibjo was in a position to profit. He took his investment company public shortly before the crisis deepened, and used the proceeds to buy his corporate crowns: three TV station networks, two of which had been run by members of the Suharto family. During Suharto's three decades in power, his family firmly planted itself into Indonesia's business communities. By picking up some of the Suharto family jewels, Tanoesoedibjo emerged as a prominent post-crisis political and business figure. As a media mogul, he lured young audiences by strengthening lifestyle and entertainment content. He introduced Indonesian Idol and X Factor Indonesia -- domestic versions of popular foreign shows. With an eye on global trends, his TV networks also backed JKT48, a Jakarta offshoot of Japan's popular idol group AKB48. The three networks currently account for about a third of Indonesia's entire TV audience. As the Indonesian economy bounced back from the currency crisis, advertising revenue from foreign and domestic companies turned the networks into cash cows that Tanoesoedibjo milked to expand into property, toll roads and financial services. Today his group spans 10 listed companies, with 30,000 employees and a market capitalisation of about $9bn. Mr. Anthony Salim’s company began with humble beginnings when his father Liem Sioe Liong started it under the Suharto era in Indonesia, and grew it to an annual turnover of US$20 billion in 1995 or an estimate 5% of the country’s GDP. This also meant that in 1995, the company was not just the largest conglomerate in Indonesia but also in Southeast Asia. With assets including Indofood Suskes Makmur, the world's largest instant producer, and Bogasari, a large flour-milling operation. The business tycoon was voted as Marcopolis’ #2 most powerful businessman in Indonesia. Whilst Salim Group has also been involved in property development and the leisure industry for over 30 years. Its businesses include hotel and resort development, golf courses, and commercial real estate The listed companies that the Salim Group is involved in include Indofood (instant noodles), Indomobil (automotive), Indocement (cement), First Pacific Company (Telecoms, Trading, Property and food), amongst others. It employs more than 100,000 staff around the Pacific region. In 1993, the company was handed over to Anthony Salim. 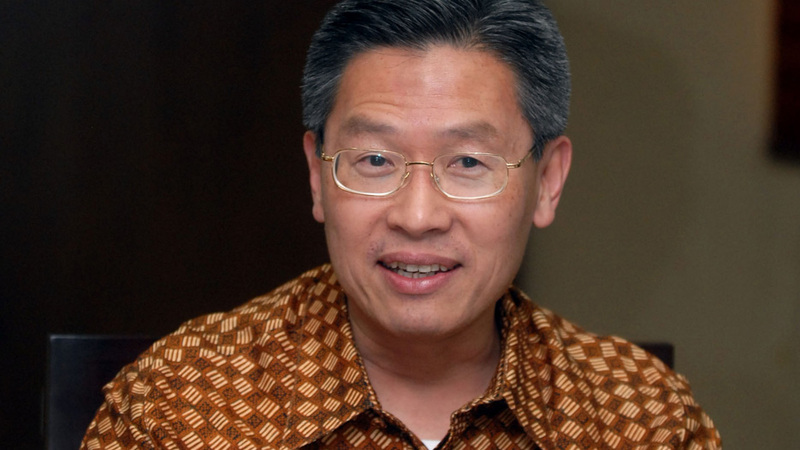 Born in 1949, the third son of Salim Group founder Liem Sioe Liong. He studied business in the U.K. and after returning home quickly became a top manager in the group. Ever since he has played a crucial role in diversifying its businesses, a strategy that fell apart when the Asian financial crisis struck. When most of the group's assets were placed under government control, Salim took steps to hold on to Indofod Suskes Makmurthe group's crown jewel. Under Chairman and CEO Anthoni Salim the conglomerate is expanding beyond its core food business and extending its geographic reach. Indeed, Salim Group, which comprises more than 30 listed companies and numerous private businesses, is sprinting ahead with acquisitions and partnerships. The conglomerate's moment of crisis - when it nearly collapsed in the late 1990s - seems like eons ago. Drastic changes are occurring in the group's core food businesses. Consider the diversification of Indofood Suskes Makmur. Already the world's largest producer of instant noodles, Indofood over the past three years has established joint ventures in bottled beverages and restaurants. Indofood is extending its reach in agricultural commodities, too. Listed Singaporean unit Indofood Agri Resources has acquired stakes in sugar producers in Brazil and the Philippines. Whilst on the retail front, Salim Group owns a stake in Indomarco Prismatama, which runs Indonesian convenience store chain Indomaret. All of this is part of Anthoni Salim's long-term vision, which is based on a projection of 50% global population growth over the next 30 years, and the steady rise in the purchasing power of Southeast Asians. Among the most famous architects and property magnates in Indonesia, Ir. Ciputra is a big name with several property groups, philanthropy projects in education and also one of Forbes’ richest Indonesians. The business tycoon was voted as Marcopolis’ #3 most powerful businessman in Indonesia. With wealth that worth around $1.3 billion, he is a perfect example of how difficult childhood and past life are not impediments for the resilient. Born in Central Sulawesi Ir. Ciputra experienced a rough childhood. After his father was kidnapped by unknown troops in 1944 after being accused of spying for the Japanese and Dutch. Despite this he managed to finish his education until he got his Bachelor of Arts from Bandung Institute of Technology as an architect. He then established a contractor service with his friends, specialized in office buildings, later moving to Jakarta and worked at Jaya Group, before founding the Ancol development project. 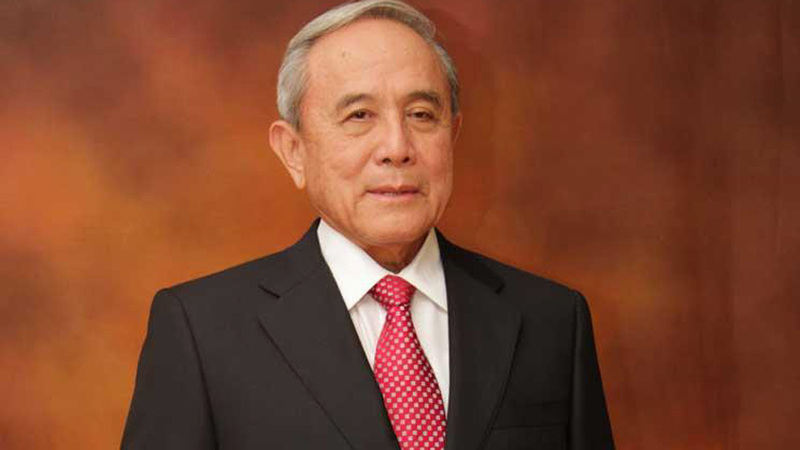 He then built Metropolitan Group building luxury housing complexes such as Pondok Indah and Bumi Serpong Damai. Then later built Ciputra Group as the third property giant, as well as Bank Ciputra and insurance company Ciputra Allstat. 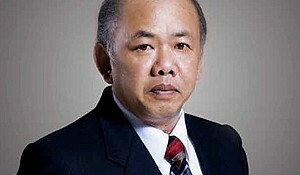 His wealth mostly comes from his three property groups, Metropolitan Group, Jaya Group and Ciputra Group. Now 84 years old Ir. Ciputra he runs the leading property company in Indonesia of large-scale commercial properties. Although he spent six tough years training to become a dentist, Chairul Tanjung never planned to spend his days polishing teeth or filling root canals. Indonesia’s fifth-richest man merely wanted a cheap way to acquire a high-quality tertiary education. The business tycoon was voted as Marcopolis’ #4 most powerful businessman in Indonesia. While this is not a typical route to entrepreneurial stardom, the straight-talking billionaire must have learnt some invaluable lessons that helped him go from dental student to factory owner before he bought a bank and, eventually, built up a sprawling media, retail and banking empire that is estimated by Forbes to be worth $3.4bn. Positioning his CT Corporation (the initials are from his name) to capitalise on the decade-long, middle-class spending boom that has underpinned strong economic growth in Indonesia. His rise tracked the transformation of what was a basket case in the wake of the Asian financial crisis of 1997-98 into one of the world’s hottest emerging markets. 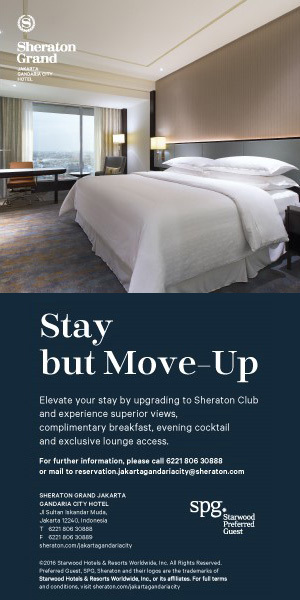 The 53-year-old is tapping this growing demand from both ends of the consumer spectrum. At the high end, he does this through control of the local distribution rights for fashion brands such as Hugo Boss, Tommy Hilfiger and Versace. At the lower end, he also owns shopping malls, indoor theme parks, a large bank, two popular free-to-air television stations and Indonesia’s leading news website, Detik.com, which he acquired in 2011 for $60m. It was in banking that he got his first big break, at a time when Indonesia was mired in political, economic and social chaos. Having acquired a small bank, which he renamed Bank Mega, in 1995, the Asian financial crisis just two years later looked certain to be bad news for Mr. Tanjung. Yet as the rupiah plunged in value and other, more heavily indebted bank proprietors fled a country in flames, Mr. Tanjung sensed his chance. That financial success set him up for his next moves as he launched one of the first new TV stations of the democratic era, following the fall of the dictator General Suharto in 1998, and expanded into retail. Whilst his opportunism was in evidence again much more recently when he took advantage of Carrefour’s legal and regulatory problems in Indonesia to acquire control of the French supermarket groups 84 local stores. 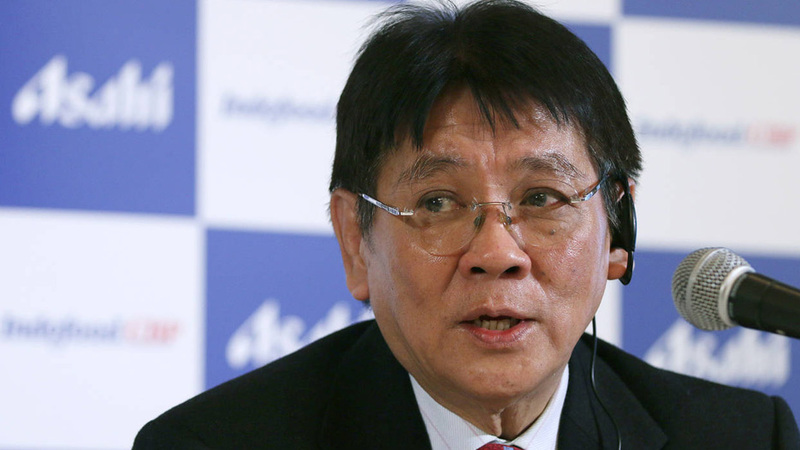 Then as Carrefour struggled to fend off the European recession and a shareholder revolt, Mr. Tanjung took advantage once again last year, when he acquired the remaining 60 per cent of its Indonesian business for €525m, making him one of the biggest players in the local retail market. 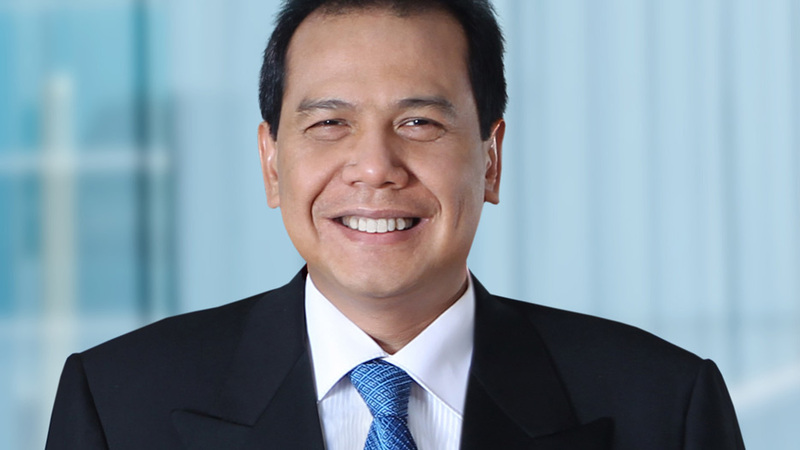 Dr. James Tjahaja Riady is Chief Executive Officer of the Lippo Group of Companies, a major Indonesian conglomerate with significant interests in retail, media, real estate, banking, natural resources, hospitality, and healthcare industries. The business tycoon was voted as Marcopolis’ #5 most powerful businessman in Indonesia. The son of founder and patriarch of the Lippo Group Mochtar Riady who led Lippo Bank into the top five biggest private banks in Indonesia after being instrumental in building Bank Central Asia into Indonesia's biggest bank. The empire Mochtar built from the early 1980s expanded rapidly during the 1990s. Expansion into property in 1991 came with the establishment of Lippo Land Development and elite housing developments, beachside condominiums, office complexes and even an Indonesian branch of Singapore's Gleneagles were built as fast as land could be bought up. Acquisitions in banking and property in Hong Kong, the United States, China and Singapore resulted in the group having more than 165 affiliated companies in Indonesia, China and the United States. It was widely assumed that the Riady empire was on the verge of collapse when the financial crisis struck in late 1997. It seemed dangerously vulnerable in the face of astronomical interest rates and inflation, and mountains of bad debt at the bank. Lippo Bank was the first bank to be recapitalized by the state and the Riadys lost control of their bank when the government in effect nationalized it by taking a 59 percent stake in compensation for a $700 million bailout given through the infamous Bank Indonesia Liquidity Assistance (BLBI) program. The group still kept its head above water at a time when companies in the banking, financial services and property sectors were dropping like flies. The bank then geared up to face a new cycle of growth and streamlined its infrastructure. It was James's panache as a super-salesman that largely persuaded foreign investors to participate in a 1998 rights issue to help recapitalize Lippo Bank. He raised almost $250 million at a time when foreigners were aghast at Indonesia and its banking system. Lippo's main company in China, China Resources, owns a range of businesses, from supermarkets, timber to financial services for Chinese government-owned companies. 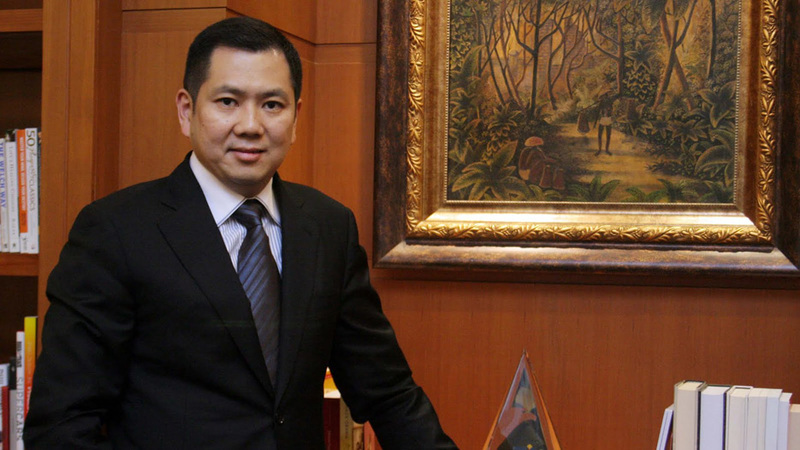 The son of late billionaire William Soeryadjaya, among the cofounders of the Astra Automotive Group, Edwin Soeryadjaya did not get vast inheritance as his Father lost most of his wealth prior to his passing. 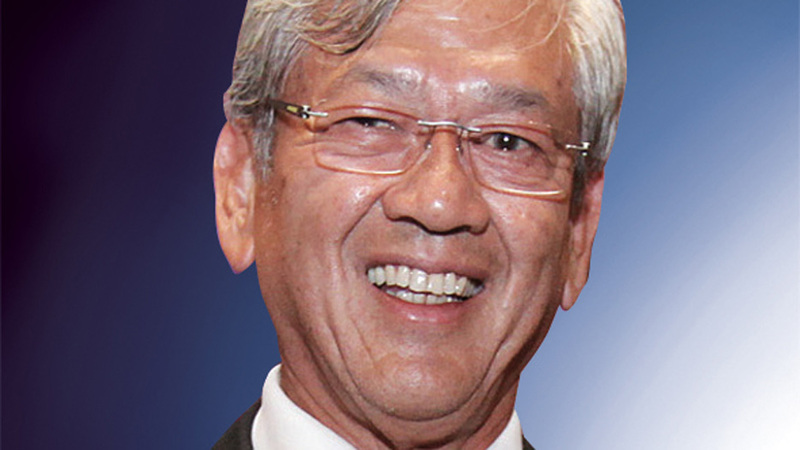 Born in 1949 in Jakarta, Indonesia, he graduated in the University of Southern California and his mission upon commencement was to restore the family’s riches. The business tycoon was voted as Marcopolis’ #6 most powerful businessman in Indonesia. Establishing the investment firm Saratoga Investama Sedaya in 1998. He became among the first investors of coal miner Adaro Energy, where he now holds a significant position through Saratoga Capital, his own private equity firm. As well as owning Mandala Airlines, and a big stake in the Tower Bersama Infrastructure cell tower business. Forbes ranked as the country's 24th richest, with an estimated wealth of US$1.2 billion. Theodore Permadi Rachmat, also known as Teddy, the nephew of the late Astra International founder William Soeryadjaya. Teddy Rachmat started his career at Astra and in 1998 founded holding company Triputra Investindo Arya (TIA), which houses the family interests in agribusiness, coal mining, manufacturing, and motorcycle dealerships, among others. TIA is now keen on expanding into other sectors including food, water and electricity infra- structure. The business tycoon was voted as Marcopolis’ #7 most powerful businessman in Indonesia. The family’s wealth is rooted in the relationships Teddy Rachmat forged at Astra International. The Soeryadjaya family sold Astra to clear debts in 1992 but the families reunited to acquire Adaro Energy in 2005, in what was one of the landmark Indonesian deals of the last decade. IDX-listed Adaro Energy is the main contributor to TIA’s revenue that hit IDR 37.4tn (USD 3.14bn) in 2015, up 7% from a year earlier. Its agribusiness and another investment holding company Daya Group, largely focused on the family’s motorcycle dealership business, are the group’s next biggest revenue generators. TIA has a target of IDR 42.1tn for 2016 and has allocated IDR 4tn for investment. The Hartono family is the richest family in Indonesia’s by a wide margin with an estimated wealth of $15.4 Billion. The Family's fortune is rooted in tobacco after the brothers took over kretekmaker Djarum of one of the world’s biggest clove-flavored cigarette makers which was founded by their late Chinese father Oei Wie Gwan, who founded Djarum in 1951. After his death in 1963, the brothers took over the business, invested in research and development, and began exporting cigarettes. The business tycoons were voted as Marcopolis’ #8 most powerful businessmen in Indonesia. Budi's flagships include Bank Central Asia (BCA), the country's largest privately owned bank; PT Djarum, the second largest cigarette producer; Kaskus, the largest community website; and Hotel Indonesia and Grand Indonesia shopping mall. The brothers also started property several companies under the name of Djarum Group, such as Nagaraja Lestari and Fajar Surya Perkasa. Responsible for building some of the most famous property projects in Indonesia, such as Daan Mogot Mall Jakarta, Pulogadung Trade Center, and Bali Padma Hotel. Budi's eldest son, Victor, is now COO. His other son, Martin, invests in startups like online fan club Kincir.com through GDP Venture. Surya Wonowidjojo, was an immigrant from China's Fujian province. In 1958, he founded Gudang Garam, a cigarette making company whose name loosely translates to "salt warehouse". The business tycoon was voted as Marcopolis’ #9 most powerful businessman in Indonesia. In 1971, the company upgraded its legal status to a limited liability company to help enhance its production capacity and management. Surya Wonowidjojo passed away in 1985 and left the business to his children, including Susilo Wonowidjojo, otherwise known as Daoping Cai. 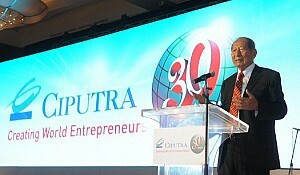 The success of his business made him and his family among wealthiest people in Indonesia. His son Susilo became president in 2009. Wonowidjojo’s estimated net worth is $4.6 billion. The Bakrie Group is an Indonesian conglomerate founded by Achmad Bakrie in 1942 with diversified interests across various industries including mining, oil and gas, property development, infrastructure, plantations, media and telecommunications. The business tycoon was voted as Marcopolis’ #10 most powerful businessman in Indonesia. The group is one of the largest business groups in Indonesia, with 10 companies listed on the Indonesia Stock Exchange. Whilst the Bakrie's family business whose business interests and political ambitions give them unrivalled prominence in the archipelagic nation, continues to pull off improbable feats outmanoeuving state-owned firms and a local rival to secure a stake in one of the world's biggest copper and gold mines, on the island of Sumbawa. The deal crowned the family business's recovery from near collapse in 2008, when a plunge in the shares of six Bakrie-linked firms prompted the Indonesia Stock Exchange to close for three days. 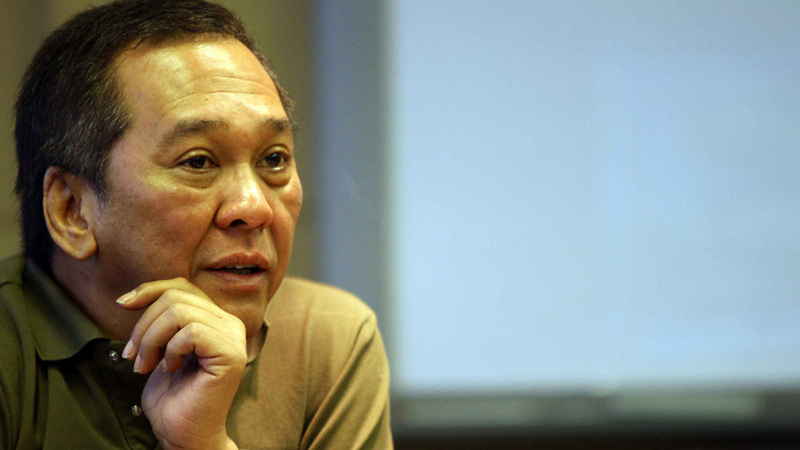 Even before that narrow escape, Mr. Bakrie was notable as one of the few tycoons from Suharto's era to have managed to preserve his businesses and political clout despite the Asian crisis of 1997 and the transition to democracy the following year. Mr. Bakrie's continued influence is the cause of much discussion in Jakarta. Bakrie-controlled companies cover the breadth of Indonesia's economy, including mining, oil and gas, palm oil, property, telecommunications and finance. Our interviewees considered a number of Indonesians, however chose their nominees based on their influence and power in the country. Their innovation, inspiration, wide-range endeavors, and philanthropy have been recognized by the business world. Their strong work ethic and genuine impact on the Indonesian people have landed them on the list of Marcopolis’ most powerful businessmen in the country.